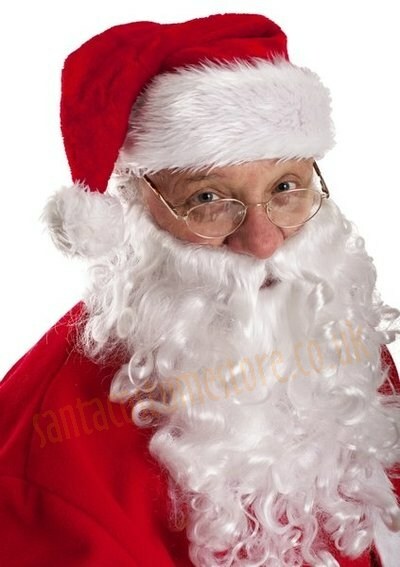 A plush Santa hat – and a smart addition to your costume, one without which no self-respecting Father Christmas would let themselves be seen by children. The hat is really nice to the touch (just like a plush teddy bear! ), and comes topped with a white fluffy pompon. It is also trimmed with a broad brand of white faux fur. You’ll have no difficulty evoking that Christmastime mood in your home when you wear such a hat! Also great for using as a Christmas marketing accessory. If you need over 100 of them, please contact our Wholesale purchases. 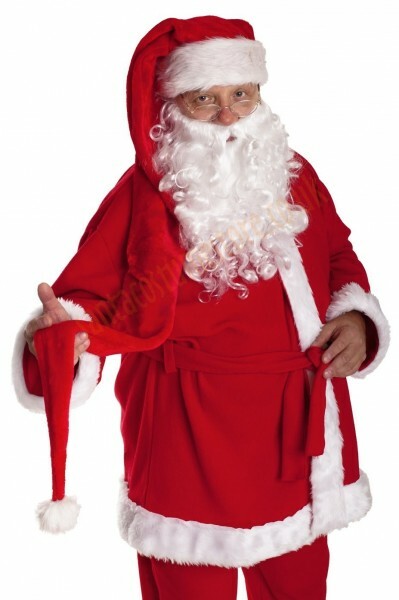 This plush hat will not fit on the Santa wig, and is designed to be worn without one. 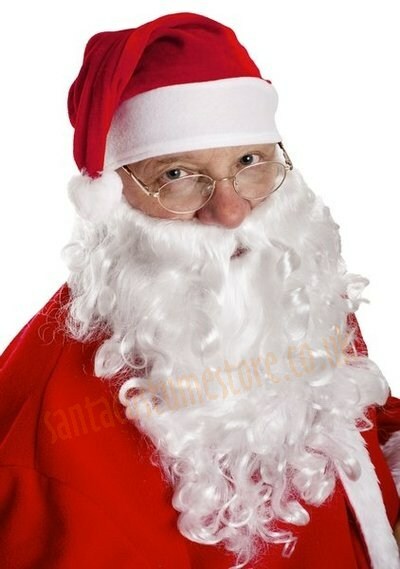 NB: When purchasing this product, you only receive Santa’s flush hat, while the other products shown in the photo (the jacket, beard and Santa’s glasses) may be bought separately.